Nguyen Cong Phuong and Le Van Son scored a goal each to push Viet Nam ahead just 16 minutes into the match. But Goerge McGee narrowed the gap before the end of the first half. The second half saw the Vietnamese team lose its focus against the competitive Birmingham. Liam Truslove levelled the score for his team soon after the second half began. The Vietnamese defenders scored an own goal before Reece Brown netted the fourth goal for the hosts. 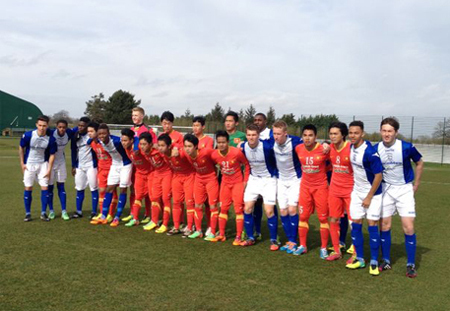 It was the last match of the Vietnamese team in England. Earlier, they won one, drew two and lost one match.